Is Life Getting in the Way of your (Estate) Plans? 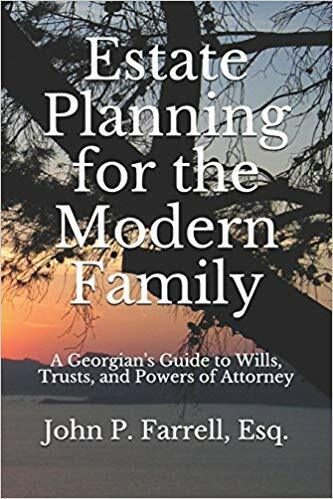 I worked with a woman recently who wants to get her estate plan in place, but she’s having a difficult time taking that proverbial first step. She came to one of my monthly educational seminars at the beginning of the year and approached me about coming into my office for an appointment. I arranged for a time for her to come into the office to discuss her estate planning needs, but she called me the day before the appointment indicating she just wasn’t ready to take the step and that she had a lot of things going on in her life. Interestingly, about a month ago, she called to register for another one of my monthly educational seminars. Like last time, she attended, made an appointment, and then called to cancel indicating she had too much to handle personally before she completed her estate planning needs. Over the years, I’ve learned life has a way of getting in the way of estate planning. It’s easy to understand it is an uncomfortable thing to think about. But, what should be just as uncomfortable is the thought that the family left behind has to scramble around getting your affairs in order after you’re gone, often times without a roadmap as to the desires and wishes you may have had in mind as to your belongings, both personal and financial. I’ve had clients who have lost their son as soon as the day after they put their estate plan in place. At the time, they couldn’t even imagine the possibility their child would predecease them. Unfortunately, he didn’t even have a Will. I’ve had clients who were relatively young and within months of setting up their estate plan, one of them came down with an illness and passed away shortly thereafter. Fortunately, their estate plan provided for a smooth transition to the surviving spouse and it gave peace to those left behind. What am I saying? I am saying that life goes on whether you are ready or not, so why not be ready. If you need help taking that first step and would like to have your plan set up the right way, the first time, give our Marietta estate planning firm a call at (678) 809-4922.